This is a post that I should have written a long time ago. Rotating the iPad and muting the volume is a common daily task. 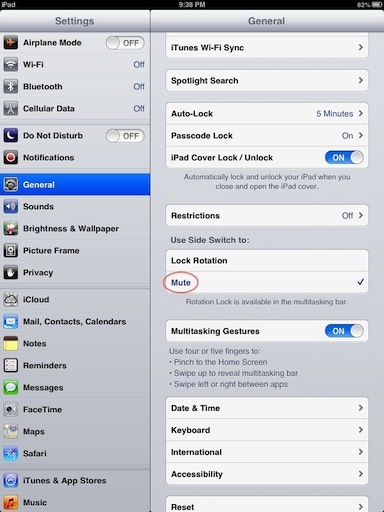 Many times, we want to lock the iPad screen orientation or mute the iPad, such as when the phone rings. The iPad side switch lets you lock the screen rotation orientation or mute the iPad in a flash. A while ago, I wrote an article about iPad Controls. 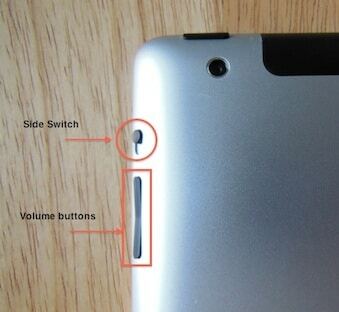 From this article, I extracted the picture below which shows the side switch next to the volume buttons. Up to iOS 6, the switch can be configured to do only one of these two operations (mute or lock rotation). Tap on “Lock Rotation” and tap your Home button. Activate the side switch. From now on, when rotating your iPad, the screen orientation will not change. Try it. Tap on “Mute” and tap your Home button. Move the side switch. 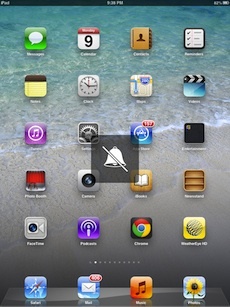 Your iPad will go mute.Turn the switch back to unmute. Since the side switch can only cover one function at a time, there’s a screen shortcut that allows you to perform the other operation. Let me clarify. Let’s say the side switch is configured to lock the screen rotation, then the shortcut will let you mute the ipad. 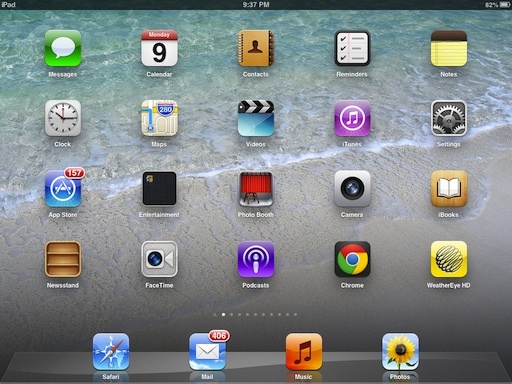 Several months ago, I wrote a post about iPad Gestures, On this article I explained how to reveal the multitasking bar. In this case, either by tapping the home button twice or swiping four fingers up you can reveal the multitasking bar. Then swipe to the right and you’ll be presented with this screen. Tap on the Speaker icon. This will mute your ipad. Alternatively, if your switch is configured to mute the iPad. The multitasking bar will allow you to lock its rotation.